Style is the outward projection of our inner elements. We are the way we are and, as such, we present ourselves to the world in the ways that we do. HJC has created two graphics for the IS-MAX II that center upon just that mindset. With either an all Black or a Hi-Viz option, the HJC IS-Max 2 Elemental Helmet offers a more subdued graphic than the Style Helmet, yet it is still more visually dynamic than a solid option. From the angular Hi-Viz stripes adorning sides of the chinbar and also located above the brown to the elemental symbol located below the ear and on the back of the head, this helmet has a science-ish feel throughout. The HJC IS-Max 2 Style Helmet doesn’t pull any punches. It says right in the title what it’s about. 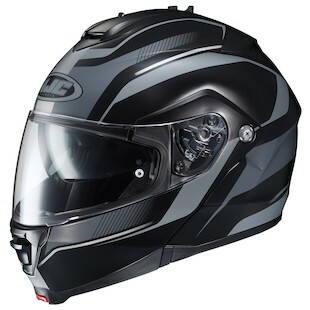 Built on the new HJC IS-MAX II Helmet frame, and with all of the functionality that comes with it, the Style graphic combines a mixture of Black, Silver, and Grey stripes for a unique pattern that will stand out in more ways than one. 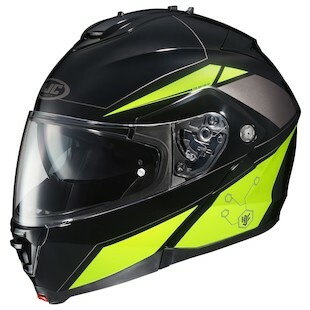 Whether it be the design itself that you are drawn to or the increased visibility that comes with the addition of a pattern to an otherwise solid color lid, the Style graphic is here to differentiate itself from other helmets on the road. If you are part of the touring moto crowd, HJC has an option for you with either the Style or Elemental IS-Max 2 modular motorcycle helmet.